According to general relativity, if you gather together enough mass into a small enough space, you can create a black hole. No matter what kind of matter you use (cars, protons, old issues of National Geographic) the black hole you get will have only three properties: mass, electric charge, and rotation (angular momentum). This is known as the no-hair theorem, because the material properties of any object (referred to as “hair” because a physicist named John Wheeler once coined the phrase “a black hole has no hair”) become unmeasurable (hence unknowable) as the object collapses into a black hole. While it seems a simple enough idea, it’s caused all manner of problems for theoretical physicists. To begin with, the no-hair theorem is in direct conflict with another principle of physics, namely that information about an object can’t simply disappear. In physics, information about an object tells us what’s going on. Since events are caused by what happened before them, and allow us to predict what will happen next, the amount of information we have about a system must be conserved. But a black hole violates this rule. Once an object enters a black hole, all information about it effectively disappears. In classical relativity there’s no way around this problem. It’s generally thought that quantum gravity would solve the issue, but even that path has been plagued with problems. One of the thing quantum gravity predicts is that black holes should leak a small amount of energy over time due to Hawking radiation. A popular idea has been that perhaps Hawking radiation isn’t simply random, but carries information about what has fallen into the black hole. However this approach led to another problem known as the firewall paradox. Basically, Hawking radiation is caused by quantum fluctuations in spacetime. In order to carry information they must also create a firewall of superheated particles near the black hole’s event horizon. This violates the central idea of relativity known as the equivalence principle. Arguments over these ideas and their theoretical implications have raged for years, but recently Stephen Hawking and his colleagues have devised a possible solution. It starts with a subtle property of quantum theory. In classical physics, a “vacuum” is simply a region of space in which there is nothing. In quantum theory “nothing” is hard to define. Because of things like the Heisenberg uncertainty principle a vacuum is filled with a sea of quantum fluctuations that average out to zero. Usually it is assumed that there is just one vacuum state in quantum theory, however there is a way to have an infinite number of quantum vacuum states. Imagine a vacuum of space with a single photon, but make the energy of the photon so tiny that it’s essentially zero. In classical physics this would just reduce to the standard vacuum, however in quantum physics it would reduce to a unique vacuum state. Since you can do this in basically an infinite number of ways, you can create an infinite number of vacuum states. Normally this would just be theoretical mumbo-jumbo, since all these quantum vacuum states would yield the same physics in the end. But with black holes it could solve the information paradox. The idea of Hawking and his peers is that a black hole is surrounded all these unique vacuum states, forming a kind of quantum hair (or soft hair, as they call it) around the black hole. By itself the soft hair looks just like a classical vacuum, but it can contain the information of all the stuff that fell into a black hole. 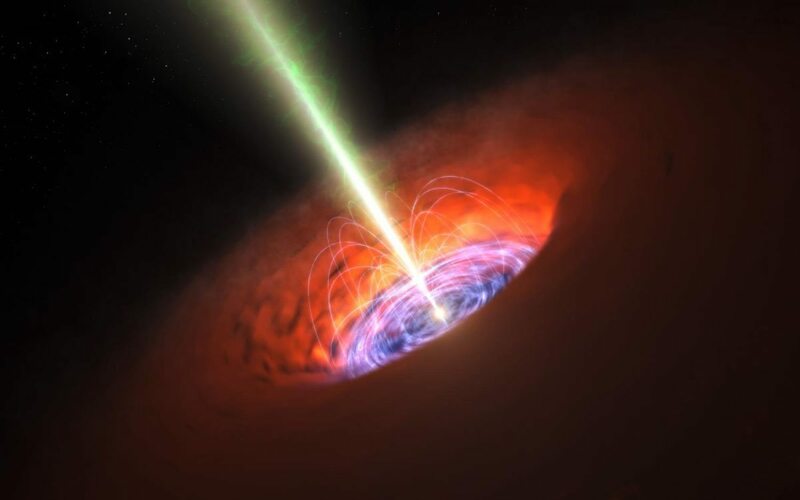 The Hawking radiation emitted by the black hole is random (thus preventing the firewall paradox), but it interacts with the soft hair of the quantum vacua, releasing the information they contain (thus solving the information paradox). If this model is right, then it means information isn’t lost after all. It’s just hidden in a quantum vacuum, waiting to be released by Hawking radiation. Thank you Brian Koberlein very interesting and it’s a coincidence I’m working with a new form of light, one where the (angular momentum) of each photon takes only half of the value of planks constant, this is a new breakthrough out of Dublin college, [trinity], yes it could be used for black holes,but to improve security and speed in fiber-optics so our internet could be faster, connection wise but your work is brilliant and I’m interested.? How/is/it/that/the/”vacuum”: contain the information of all the stuff that fell into a black hole? I believe that it doesn’t contain the ACTUAL information, per se, but the exact state of each particular differentiation or variation was created by the distinct information of the particle in it crossing the event horizon. Sort of like a forensics expert can determine exactly what sort of explosive was used in a situation by the nature of the residual trace chemicals. The particle itself may be forever lost to the singularity, but it’s information was passed on as sort of a footprint in the vacuum state when it crossed the event horizon. Of course, I could be completely incorrect about this, as I’m certainly no Hawking or Thorne. But that’s how it interprets to me.